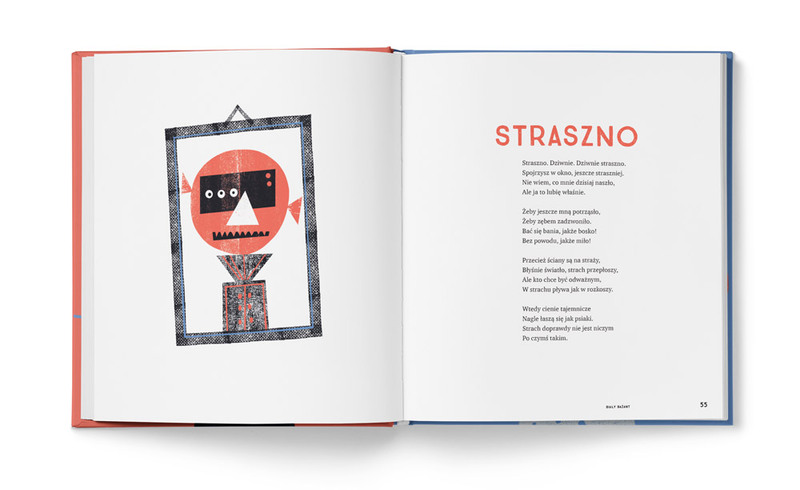 Stanisław Grochowiak’s “Poems for children”. 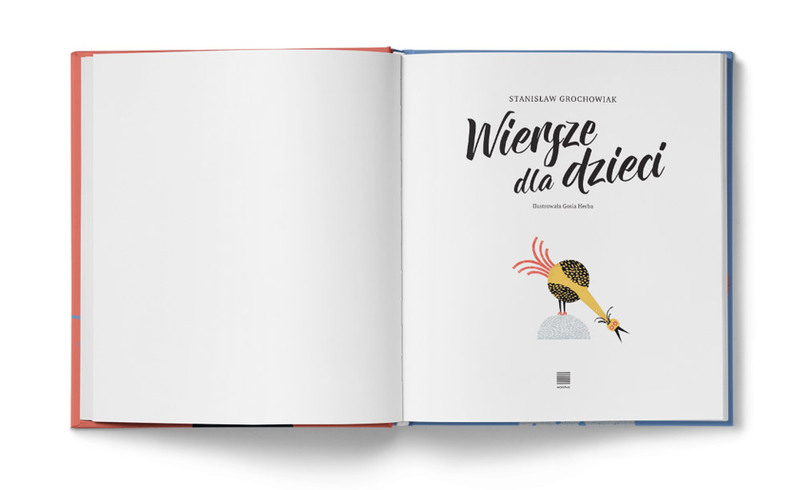 Published in March 2017 by Warstwy. 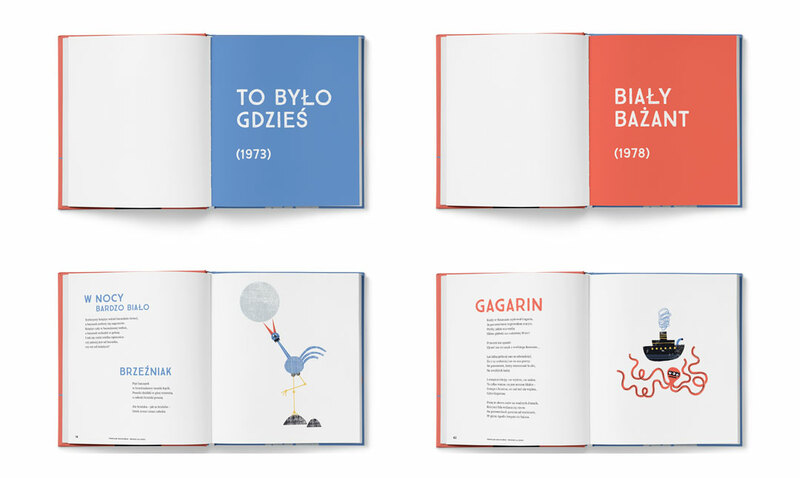 The book is a compilation of poems first published in 70’s in two tomes: “To było Gdzieś” (1973) and “Biały Bażant” (1978). 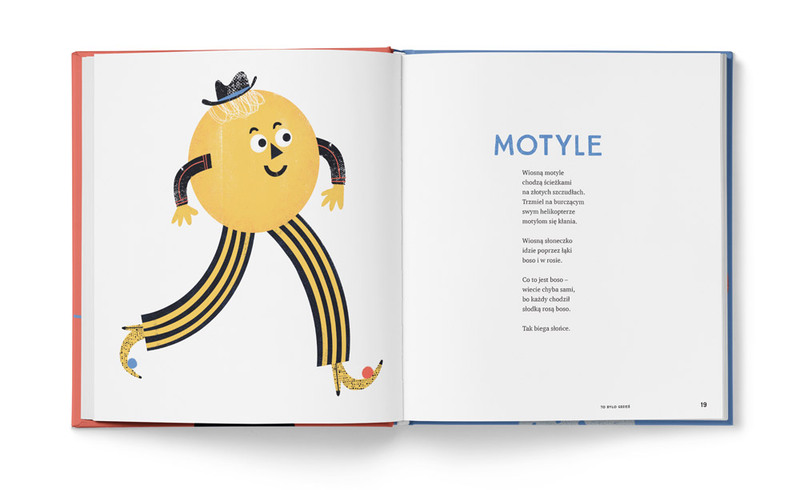 The two sections are distincted by different leading colours. 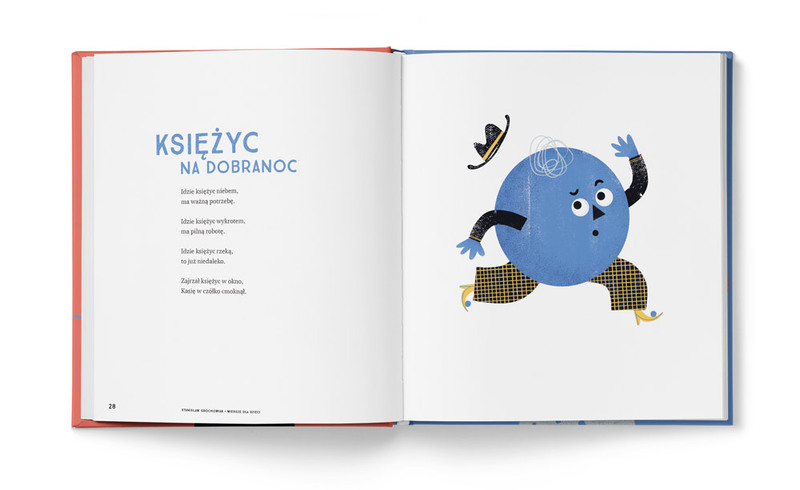 The book was printed on Alto Naturel 1.3 paper, 150g/m2. 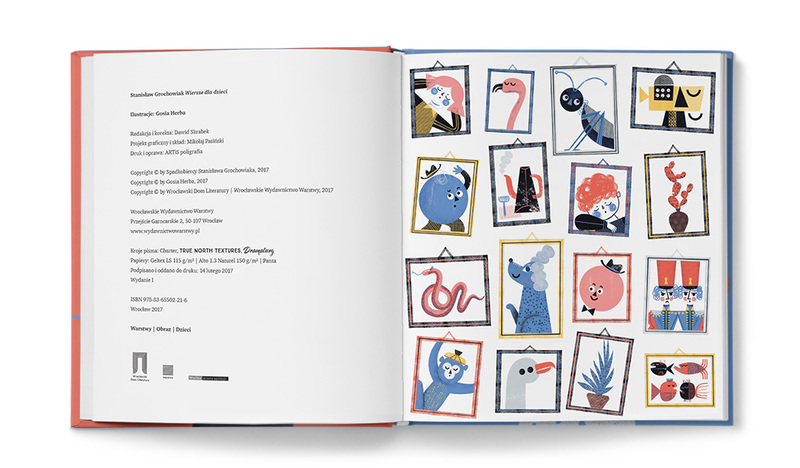 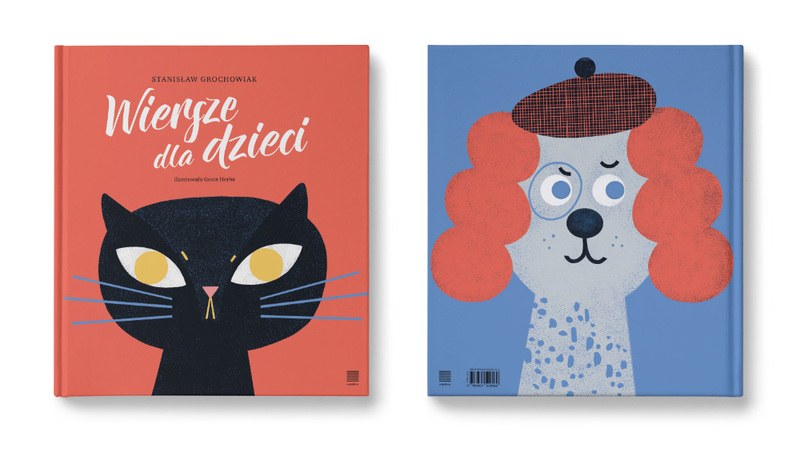 Honourable mention for the design and illustration in the Book of the year 2017 contest organized by the Polish section of IBBY.